We have over 20 years of digital marketing experience working with thousands of small businesses across South Wales. Over the years we have learnt a tremendous amount and we now share that knowledge and expertise with our clients across a huge range of industries including B2B and B2C. We offer a choice of digital marketing advice, consultancy, training through to practical services when we develop and manage your digital marketing campaigns on your behalf. If you want to find out more about how we can help just ask us for a FREE consultation. We can help by demystifying the jargon. Our no-nonsense approach is the same across all our services. There is too much confusion within the industry and some people seem to thrive upon it. We take a different approach. We explain things in plain English and ensure our clients understand exactly what needs to be done and the most cost-effective way to achieve their goals. We usually undertake an audit of where you are now and then work out a digital marketing strategy based on your aims and budget. We can show you every step of the way how to implement our ideas and we can even do it all for you. 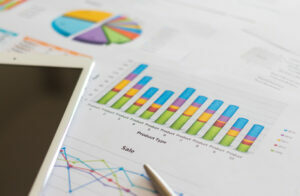 We can also provide advanced analytical reports to show the results from these activities. We cover South Wales and the West including Cardiff, Bristol, Swansea, Bridgend, Barry, Cowbridge and Penarth. We also have clients further afield e.g. London and overseas.